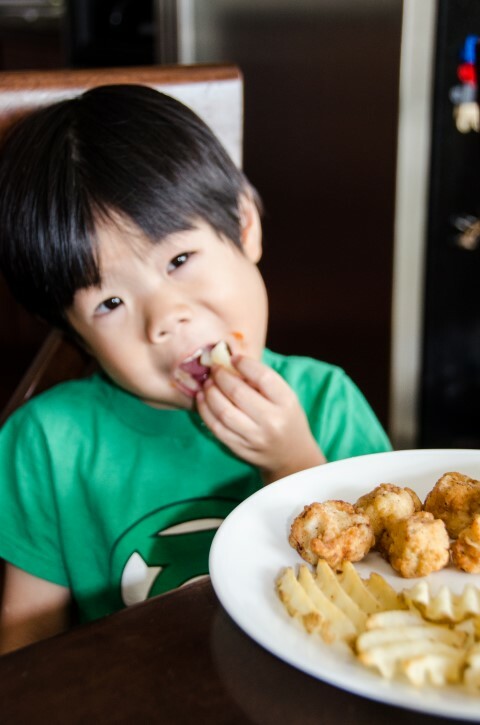 What kid doesn't love chicken nuggets? My little A. is obsessed with Chick-fil-A so I promised him some if he could give me a great swim practice. 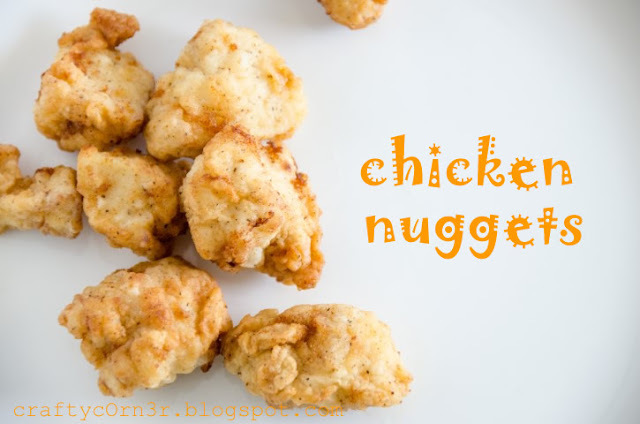 It became a tradition so when I saw this recipe on how to make chick-fil-A tasting chicken nuggets, I knew I wanted to try it. I modified the recipe I found here. In a large bowl whisk milk and egg together. 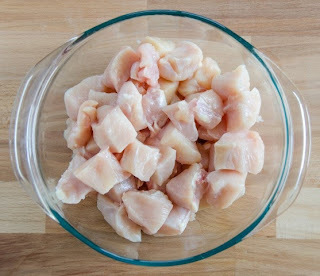 Place chicken on counter and cut into cubed bite size pieces; trim any fat that you may see. Put the chicken in the milk mixture and mix so that all is coated and place in refrigerator for at least 30 minutes. In another large bowl combine the dry ingredients listed above and stir. In cast iron pot or sauce pan pour in oil so that its at least an inch deep on med/high heat. Remove the chicken from refrigerator and place about 8 pieces in milk mixture and then into the flour mixture. 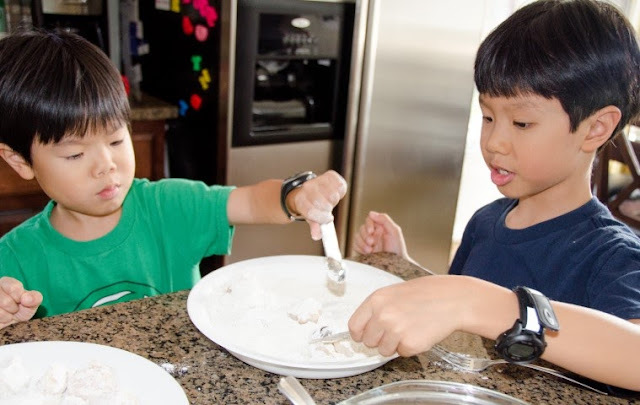 A. and E. wanted to help out and weren't afraid to get their fingers dirty. 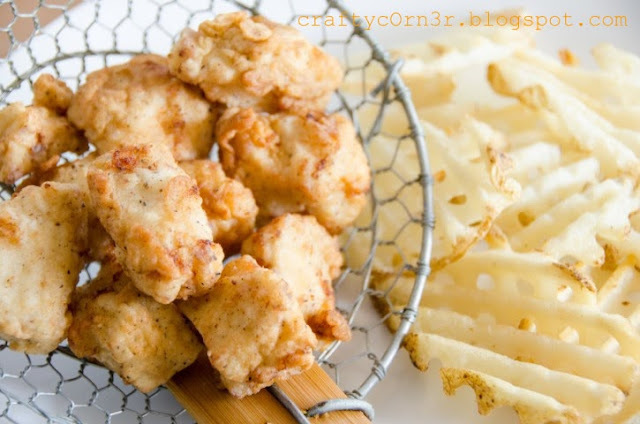 Make sure all the chicken is coated with the flour and then place into the hot oil. Cook each side for at least 2-3 minutes or until golden brown. Place the chicken on some paper towels to soak up any oil. Repeat the same steps with the rest of the chicken and serve. 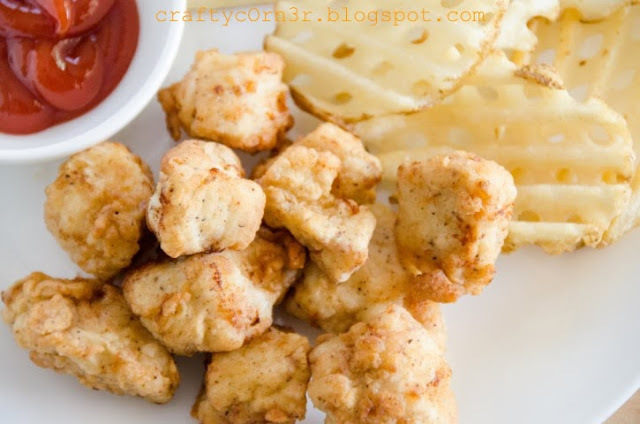 Add some waffle fries and you have a perfect meal! What's the verdict? It was so goood. 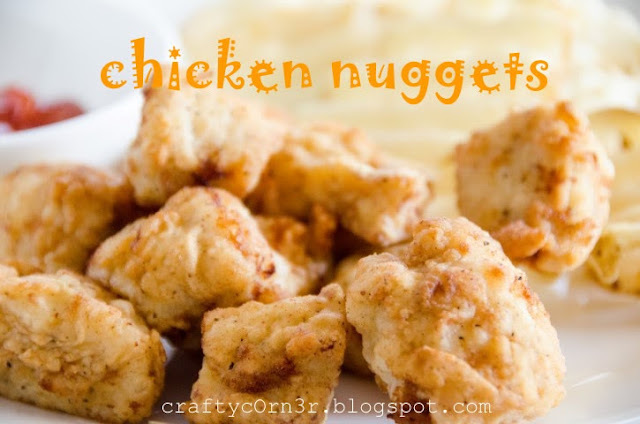 All my kids said it was even better than Chick-fil-A and they'd be happy to have home made nuggets any day! I was actually a bit shocked to hear that, but I'll take it. The best part was the price. It was only $5 to make for my entire family. The waffle fries were another $1 so that makes $6 for a family of 6 with plenty of leftovers :). Great questions! I usually put enough oil to coat about 3/4 of it because once it bubbles, it should cover the entire nugget. Oil is hot when you place a chopstick in the oil and it bubbles around it. I hope you like it!